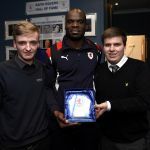 John Hughes tenure as Raith Rovers boss got off to an encouraging start this afternoon, with a 1-1 draw against league leaders Hibernian, a result which brought to an end a sequence of six-straight league defeats. 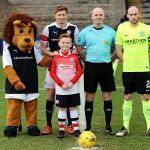 The feeling going into the match was that there may be wholesale changes to the starting line up, but there were just two from the 1-0 defeat to Morton, one of which was enforced, with Iain Davidson missing out through suspension. 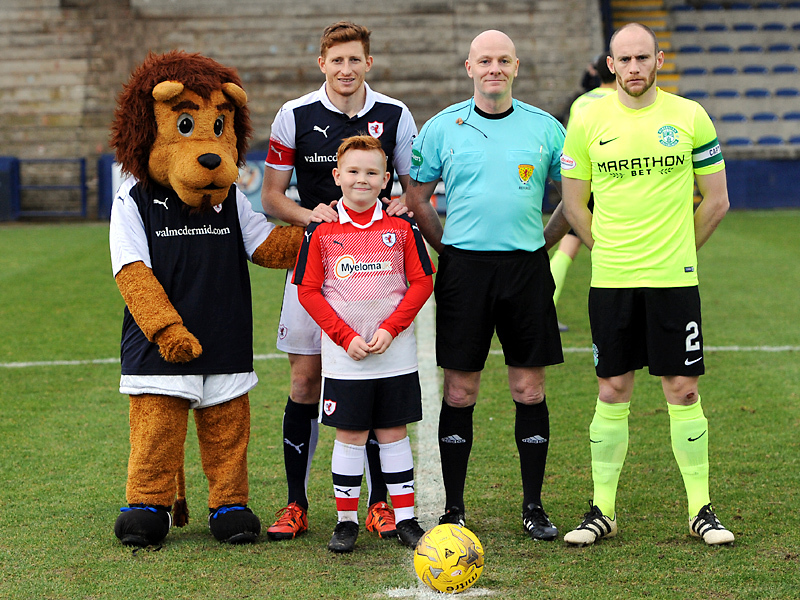 He was replaced by Ross Matthews, while Ryan Hardie dropped to the bench, with his place going to Mark Stewart. With Kevin McHattie missing though injury, Jason Thomson started on the left, with Kyle Benedictus stepping into the right-back berth. While the line-up may have been fairly standard, the big change was to the system, with Hughes opting for a very narrow diamond in midfield with Ryan Stevenson at the tip, while Bobby Barr was given a more central role up top with Mark Stewart. The two teams may have been in contrasting form, with Rovers on a barren run of 14 games without a win, while Hibs were unbeaten in 10, but it was a fairly even, if somewhat tousled opening period. 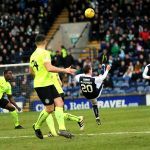 Hibs came close to opening the scoring when a dangerous looking free-kick from the left drifted above the heads of a procession of players, and with a duo of Hibs jerseys at the back-post, Craig Barr did well to nod it out with his noggin at the expense of a corner. 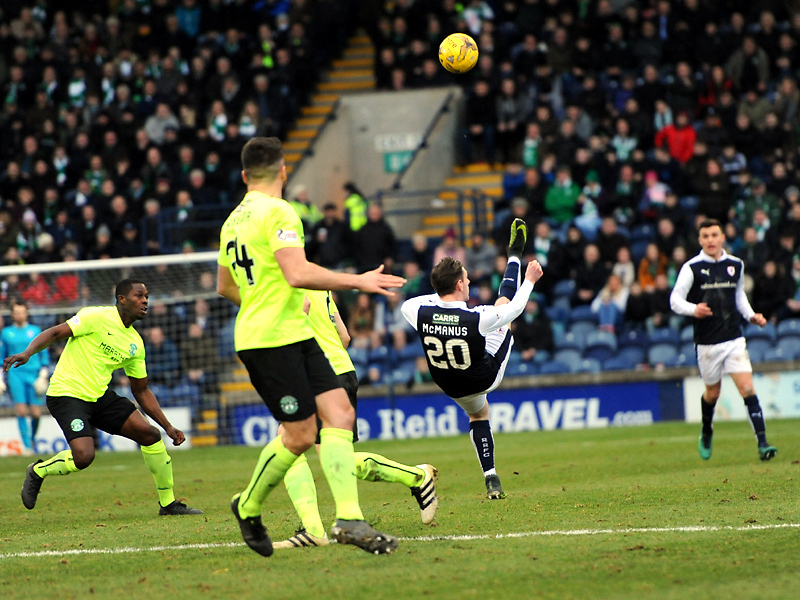 Raith had their own near thing a few minutes later, when a corner from the left by Thomson was swung in on top of Ofir Marciano, and was only cleared at the third or fourth attempt, as a number of Rovers players attempted in vain to stab it home. 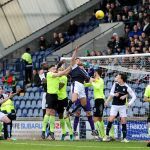 Rovers had started the match in sprightly fashion, and it was the home side which created the next opportunity, when Matthews was brought down on the right angle of the penalty area. Despite Stevenson getting his his set-piece from the acute angle on target, a rocky looking Marciano dealt with it somewhat unconvincingly, as he palmed it away to relative safety. 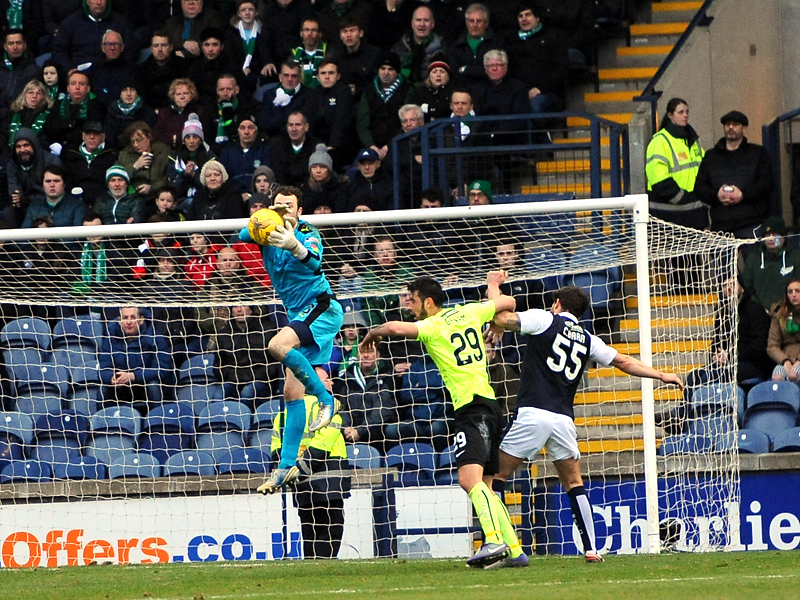 Rovers pressing game was paying dividends, and after harrying Hibs out of possession on the edge of the box, Mark Stewart did well to evade a challenge before laying it off to Ross Callachan, whose first time effort appeared to be heading in to start with, although Marciano coolly watched it wide. Hibs were looking extremely slack in possession, and another turnover saw Bobby Barr pick the ball up just outside the box, but despite having the opportunity to get a shot off early, he paused and cut inside, where Liam Fontaine was able to ease him off the ball and the chance was squandered. The strike partnership of Brian Graham and Jason Cummings was struggling to combine effectively, and after a tete-a-tete earlier in the match, the two clashed again after Cummings saw his shot from distance trundle into Brennan’s arms, with Graham perhaps a better option in support. It was another example of the vexed start to the match for the away side. Despite the away team struggling to assert themselves, they almost took the lead as the half drew to a close, with Rovers almost the architects of their own downfall. Benedictus was caught in possession at the right edge of the penalty box, allowing Stevenson to sprint into the area. He went down after driving the ball into the middle, before Graham also went down under a challenge on the penalty spot. Despite penalty appeals for both, referee Craig Charleston waved play on, and the danger was eventually cleared. 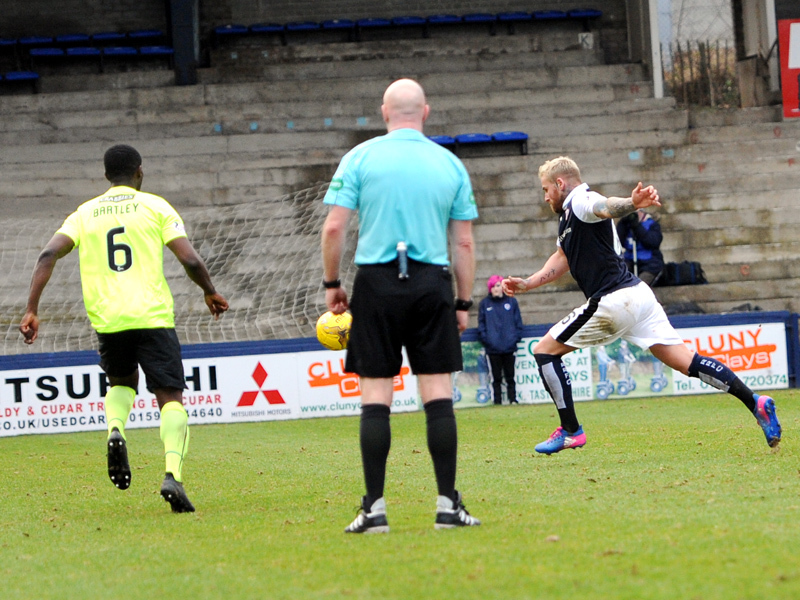 The first period may have been bereft of goals, but it didn’t take long for the opener to arrive in the second half, and what a goal it was, with Raith taking the lead in the 51st minute. 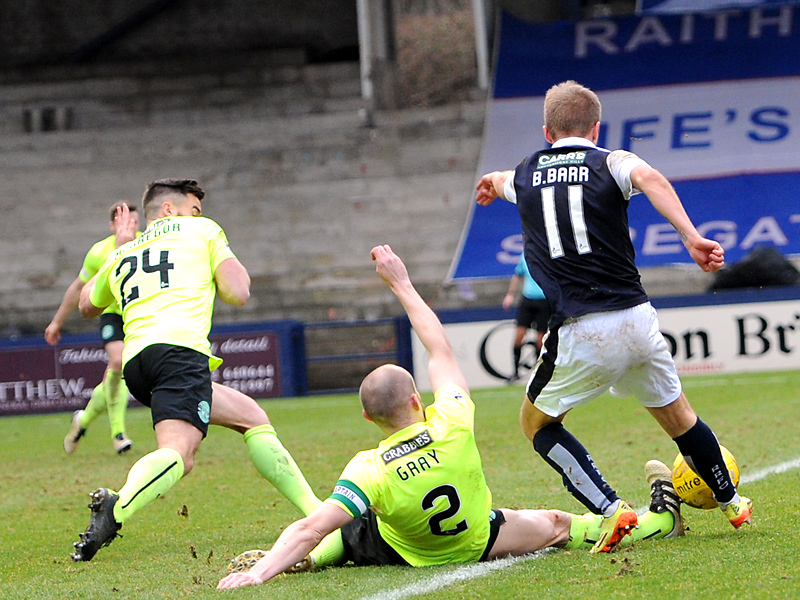 Bobby Barr initially seemed to think the ball was rolling out of play, but then decided to give chase, stopping it on the line and making a beeline towards the Hibs goal. 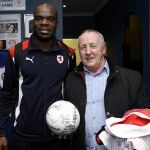 After cutting inside, his effort was blocked, but the rebound fell kindly for Stevenson 25-yards from goal, and he absolutely thumped his rasping, first-time effort past Marciano and into the net, as the fans in the South Stand went bananas. The home side now had the wind in their sails, although curiously, John Hughes elected to make not one, not two, but three substitutions all at the same time just five minutes after taking the lead. Off went Stewart, Stevenson and Benedictus, to be replaced by Chris Johnston, Declan McManus and Joel Coustrain. Within seconds, Hibs were level. Jason Cummings was charged with taking a set piece from the edge of the area, and his excellent effort curled over the wall and past Brennan for an exquisite equaliser. 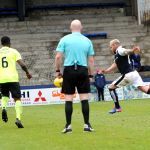 It almost got worse for Raith, when Liam Fontaine got on the end of a vicious in-swinging corner, and even though his connection wasn’t the cleanest, Conor Brennan still had to make a smart point-blank stop. Hughes’s men were looking jittery at this stage, a point that was underlined by possession being gifted away twice from their own throw-ins within a matter of moments, the second of which was followed up by an effort from distance by Cummings which fizzed just wide, albeit Brennan appeared to have it covered. The gameplan since the changes was certainly not looking quite as effective as the set-up beforehand, although Hibernian had obviously taken a lift from their equaliser, but as the match entered the final ten minutes, Rovers started to reassert themselves again, keeping Hibs at arms length, whilst simultaneously looking threatening on the break, as the match ended in parity. The result and performance was certainly a step in the right direction after the previous weeks, and the team will look to approach next weekend’s trip to Dumfries with some amount of restored confidence. Welcome to Starks Park it's a balmy 12 degrees. Brennan leaps to gather a cross, looking confident. C Barr heads an awkward cross out for a corner. Thompson with a corner, a stramash ensues in the box and the ball is cleared. Jordan Thomson shows great close quarter skills. Matthews is felled at the 18 yard line, free kick. Stevenson launches the ball in and Marciano punches clear. Rovers coming close with a corner, Jean-Yves with a downward header sees the ball cleared. Jean-Yves dances past attackers like Najinski. Stewart and Callachan combined the latter saw his shot go past the upright. Brennan secures a cross from Fyvie. 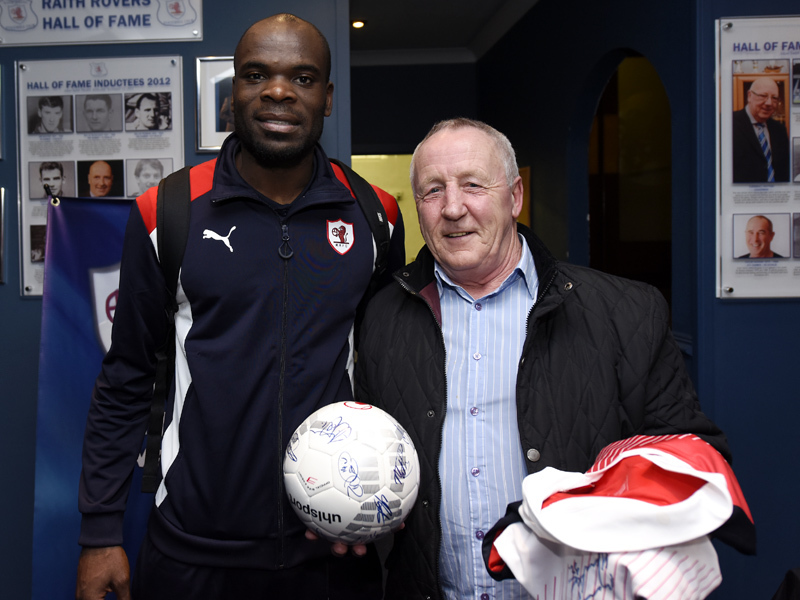 Jean-Yves having a ball bossing Fyvie in the box. Yogi shouting orders from the dugout. B Barr shows too much.of the ball to Gray and the defender clears. First quarter and it's hard to tell who the league leaders are. Stevenson one two with Stewart, the former forcing a diving save from Marciano. 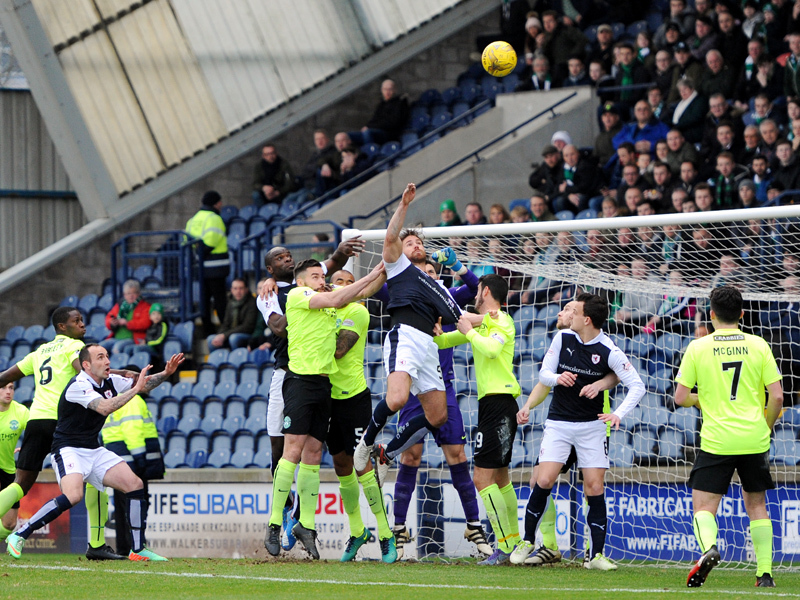 Latest, Hibernian 0-0 Raith Rovers. Stewart playing out of his skin on the right wing. 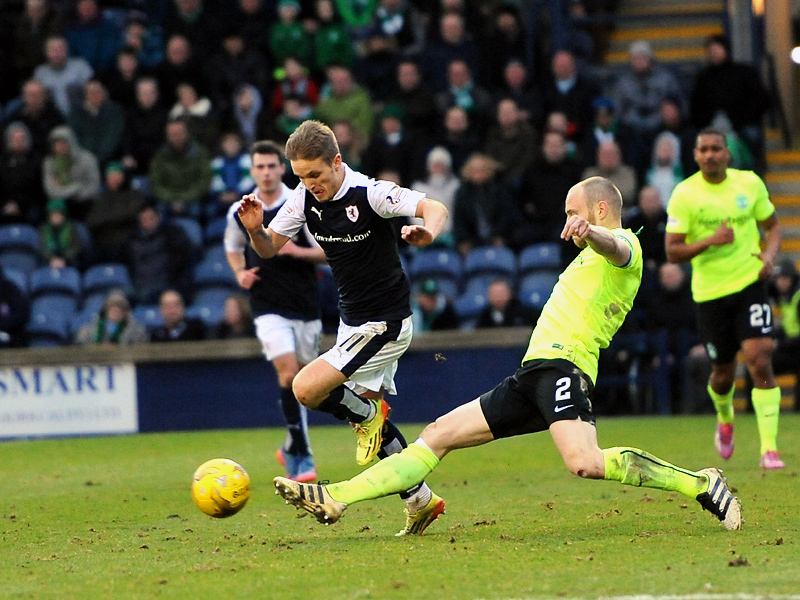 Cummings rolling a tame shot into Brennan who scooped the ball up and sent Raith on an attack. Cummings and Gray combined to no avail. Gray sends in a cross from deep which eluded six foot four Brian Graham. The home support disputes some of the decisions on the pitch,. Keatings finds the South Stand with a great cross. Mr Charleston playing advantage as Benedictus pulled a player back, however Hibs couldn't capitalise as Brennan gathered the shot. Fyvie with another wayward cross sees the ball go out of play. Rovers re-jigged back four having a good game. Half time. 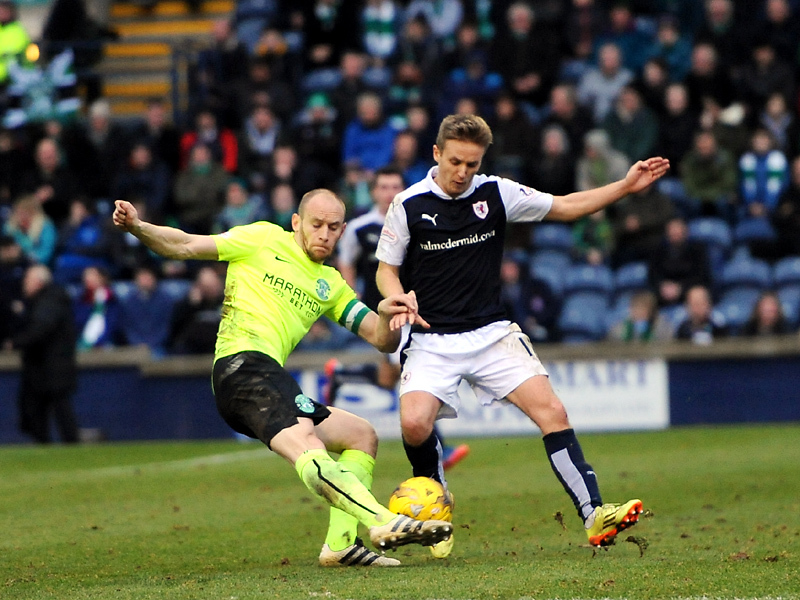 Raith Rovers 0-0 Hibernian. What a cracking half of football. Brennan, Thomson, Callachan, M'Voto, Benedictus, Stewart, B Barr, Matthews, Thompson, C Barr, Stevenson. Subs, Stevenson jnr. Johnston Coustrain, Hardie, Roberts, Skacel, McManus. Marciano, Gray, Fontaine, Bartley, McGinn, Fyvie, Stevenson, Keatings, McGregor, Graham, Cummings. Subs, Laidlaw, Holt, Donaldson, Boyle, Humphrey, Crane, Martin. 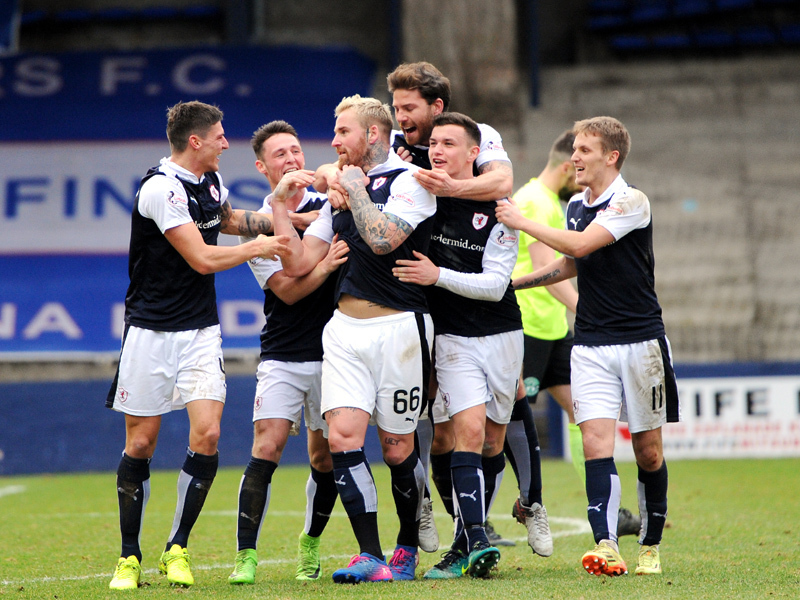 John Hughes kicks off his tenure as Raith Rovers boss this weekend, and he could scarcely ask for a harder fixture to start with, as league leaders Hibernian visit Stark’s Park this Saturday. Neil Lennon’s men are unbeaten in ten league and cup matches, and they also boast the best away record in the second tier, with just one defeat this term, sustained at Tannadice against Dundee United back in December. 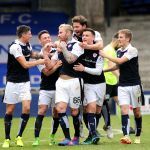 That defeat came during a run of just two wins from six games for the Leith side, a sequence which saw them relinquish top spot at the turn of the year to Ray McKinnon’s United side, but a run of 13 points from the last 15 available, has seen them move six points clear at the summit with a game in hand. Rovers on the other hand are without a win since October, and now reside just four points above the relegation play-off spot, a position which is currently taken up by Ayr United. 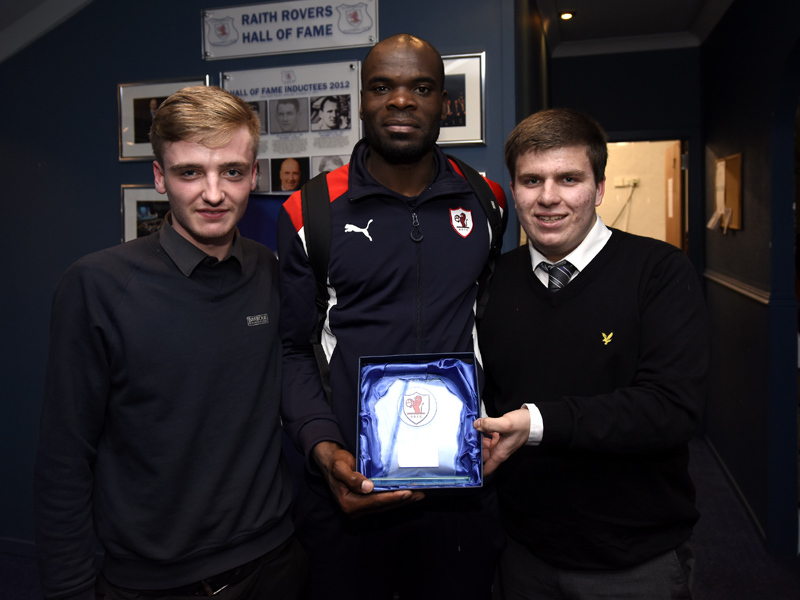 However, Raith have yet to lose to Hibs this season, with the first meeting at Stark’s Park back in October ending goalless, while the Christmas Eve fixture ended one each, with Martin Boyle grabbing a late equaliser for Bibs after Jean Yves M’Voto had nodded Raith in front early in the second-half. Despite Rovers poor run, a win could see them move up to sixth, although to do that, they’ll need to inflict a defeat on to a side which has lost just twice in the Championship this season. That impressive statistic is built on a stout defensive record, with Hibs conceding just 12 goals in 23 league fixtures, and just five in 12 away matches this term. 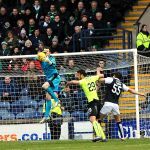 Rovers have made a habit of defeating Hibs in recent times however, with two wins over the course of the last campaign. Goals from Lewis Toshney and Mark Stewart secured a 2-1 win back in March 2016, while a Harry Panayiotou goal handed Rovers a slender advantage in the first-leg of last season’s promotion play-offs. 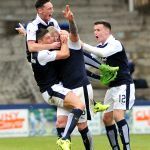 In all, Raith’s recent league record in this fixture is a good one, with two wins and four draws from the last ten meetings.